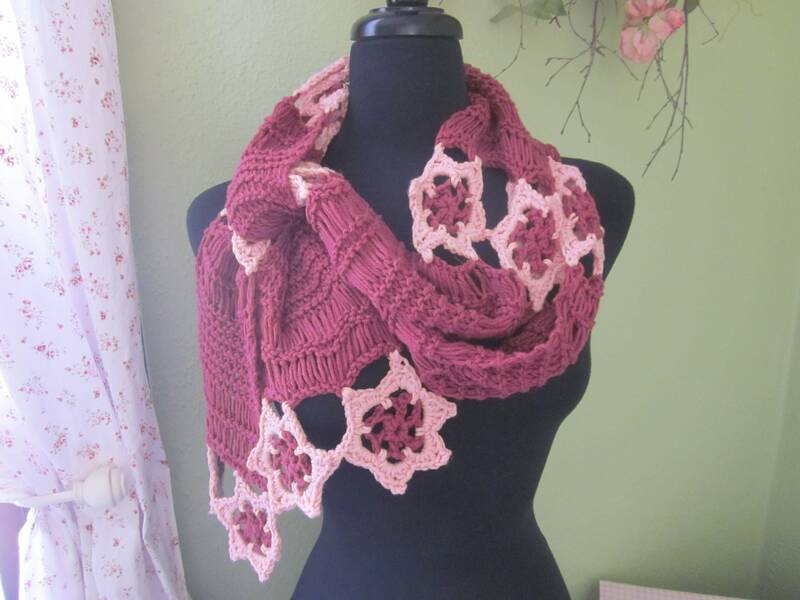 Two fiber arts come together in this charming scarf. 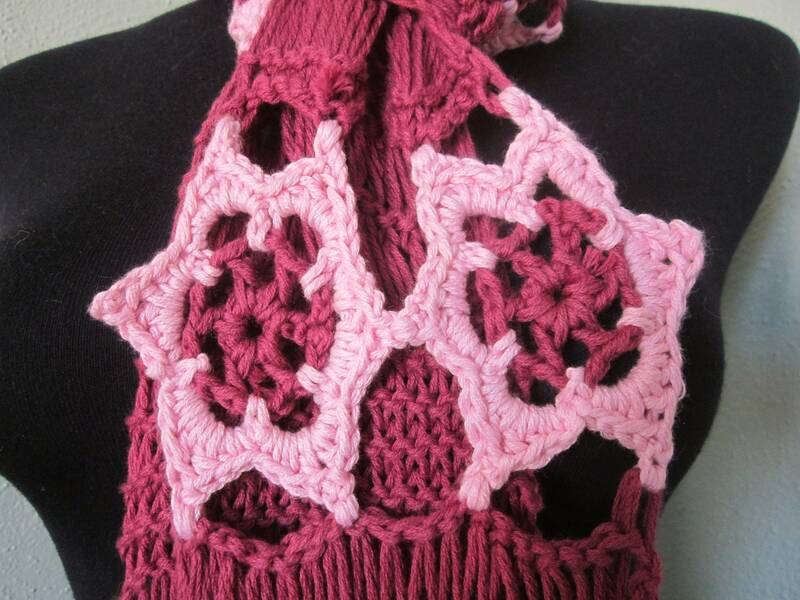 The flowers are crocheted while the panels in between are handknit. 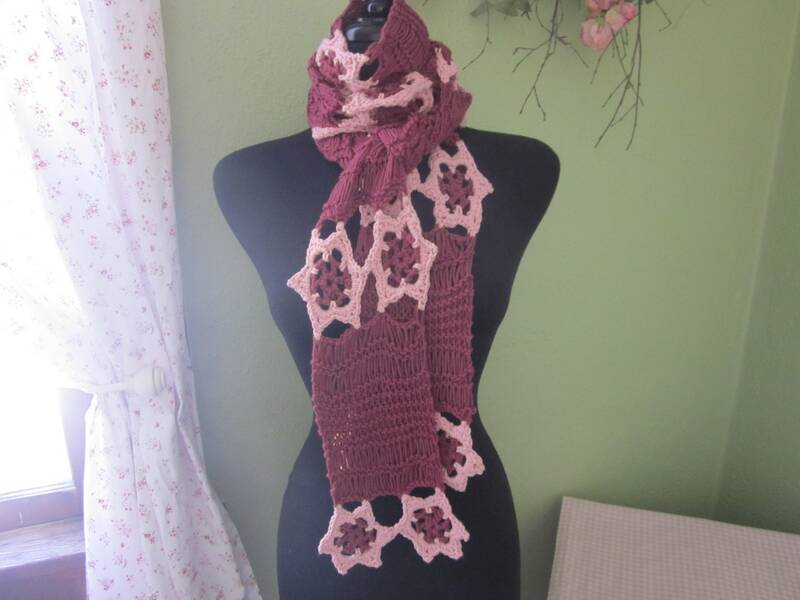 It is made of 80% wool and 20% cotton. 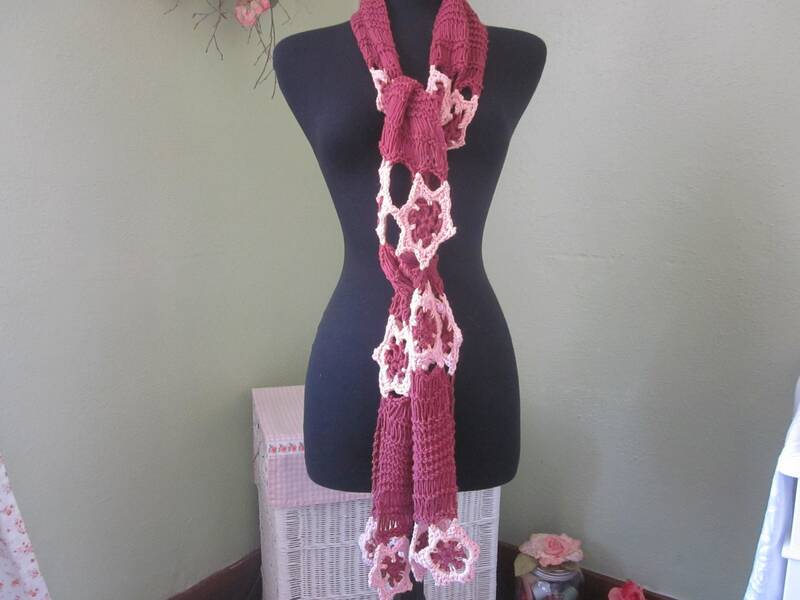 So wrap yourself in this pretty cranberry and pink creation for a dance with the garden fairies or just a stroll about town! It's long enough to wrap in several styles so scroll through all pictures for ideas. 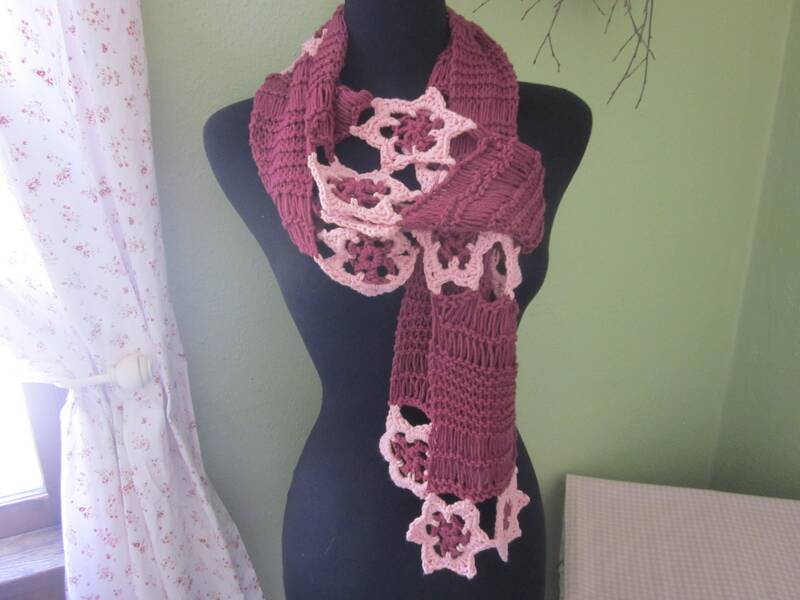 Feel free to send me a message to CUSTOM ORDER your own color combination in this divine creation. All items are made in a smoke free environment with much love! Thank you for stopping by Front Porch Knits!